"Some of these quilts did not even have straight sides!" 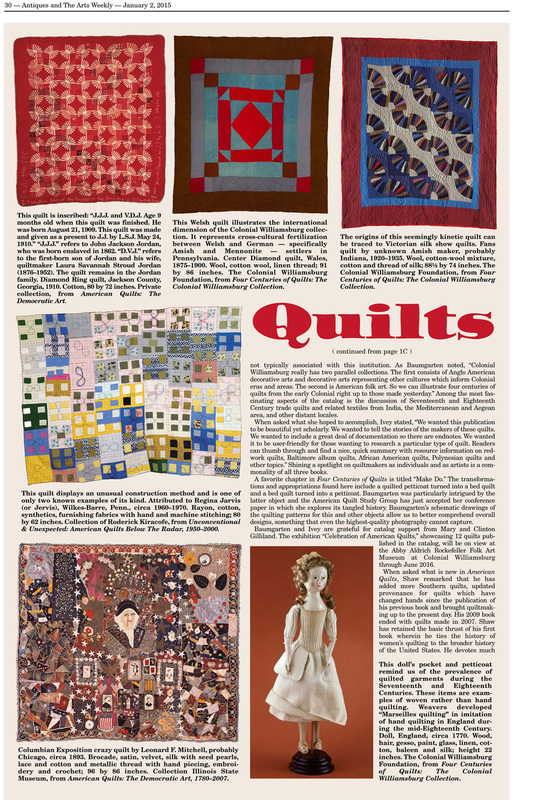 Unconventional & Unexpected is dedicated to quilts of more recent vintage. About ten years ago, long-time quilt dealer Kiracofe literally woke up one day and thought ‘What were the ‘everyday quilts’ made from the 1950s to the end of the Twentieth Century like? 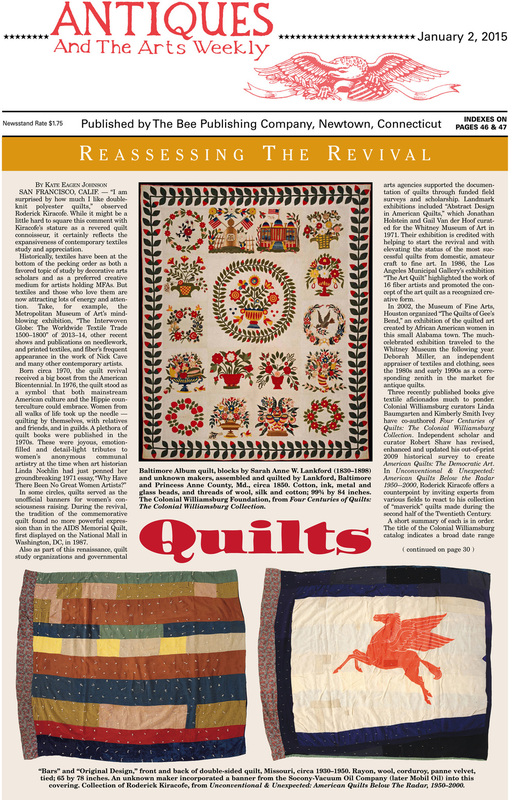 And where they even made?’ He had ended his historical survey The American Quilt, 1993, with quilts from the 1940s because quilt dogma held that no good quilts were made after 1950.